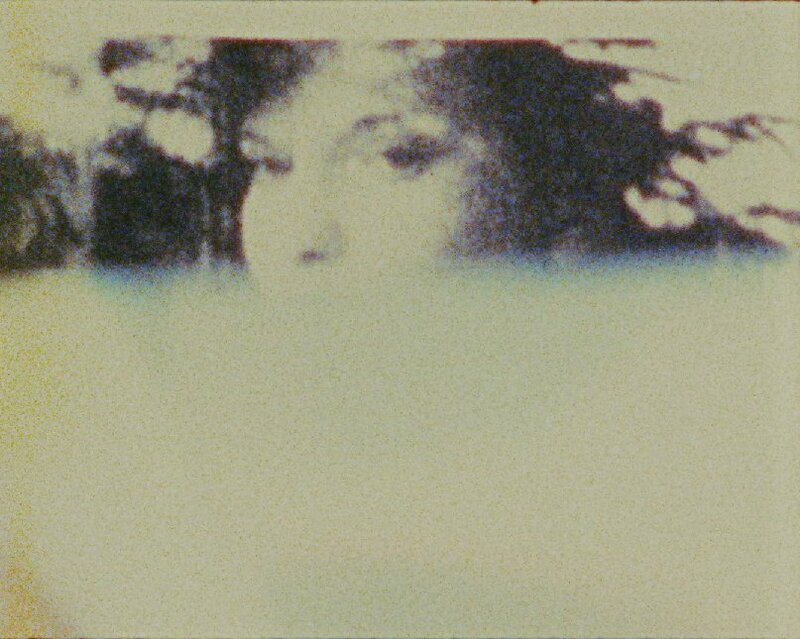 Bernard made over one hundred silent, Super-8 home movies in America from the mid-1970s to the mid-1980s, but since then his work has rarely been screened. With a highly musical approach to editing, these are surely the most maximalist home movies ever made; a dizzying combination of abstract imagery, still photography, stop-motion animation, collage and scenes of daily life, creating intricate, syncopated nuggets of breathless energy, verve and colour, awe-inspiring in their kaleidoscopic hyperactivity. Having studied filmmaking under Stan Brakhage at the School of Art Institute, Chicago, Bernard’s films are clearly infused by Brakhage’s influence but composed with a harder, more rhythmic edge, often pivoting around lightening fast juxtaposition and an inundation of images - intimate domestic moments, a hockey match, table-top objects - anything and everything can be a rhythmic catalyst, a pause, a climax, shining instances of the everyday that also play a part in a rapturous whole. Filmed at a Bohemian crematorium outside Chicago, this self-referencing act is a metaphoric allusion to the very process of the location. Still photos, drawing, inks, bleach and silver tape were used to ‘move heaven and hell’ - all from the vantage point of a devout atheist. From a series of films inspired by Delmore Schwartz’s observations on the word “intrigue”. This, the summation title, is a ‘regathering’ in red, black, blue and white… a charged compression combining both in-camera and bench-editing. It is a portrait of film cutting… portrayed as movement channeled under the ocean, in the fire, on the ice. An itinerant-text soliloquy acknowledging a solitary, unknown, yet perceptive audiencemember with whom I’m sharing this film. A montage of stills and clips referencing aspects of “set-up” / tabletop filmmaking, including images of my own paintings and 35mm slides. For me, this film remains an in-total dervish dance… a celebration of the means at hand, with all the charged beauty I was capable of producing then, or since. One of the more gifted models for my drawing courses at Detroit’s College for Creative Studies, Milton adapted easily to suggestions like, “… improvise a 10 minute moving pose.” This, then, is a document of his response. Class members worked in near total darkness as we listened to Rahsaan Roland Kirk. A personal attraction to refracted light and prismatic phenomena was the guide as I viewed and recorded, through a prism-divided screen, the fullness of the spectrum and the whiteness of light. (w/ Maya Deren as muse) Almost a year ago I received a request to have this silent film scored by a student at the University of South Wales. I agreed. Tonight is the world premiere of our collaboration. I’m indebted to Simon Gore for enabling me to hear every in-camera edit, every shot in this film. Joseph Bernard stopped making films in the mid-1980s due to his frustration with the cost of it, going on to teach at Detroit’s College for Creative Studies, retiring in 2007 as Professor Emeritus. He lives in Troy, Michigan. Brand New Blinkers is a regular short film screening based in London, screening a diverse collection of films without boundaries. No categories, only quality moving image. Brand New Blinkers was formed in 2016 and is curated and organised by Andy Sowerby and Jack Wormell.